Nell Gwynn Accommodation : Nell Gwynn Chelsea Accommodation – the Premium boutique Lettings agency in Nell Gwynn House. Lovely flat in a terrific neighborhood, about 7 mins walk to the tube. GREAT location with many wonderful restaurants, shops and more nearby. The staff were friendly and quite helpful (special thanks to Fiona! ), the room was exactly as pictured and very quiet. We couldn't have made a better choice in our price range, and I would book it again in a heartbeat. We were very pleased with this apartment. With a fully equipped efficient kitchen and pullout bed for our kids this was a great unit with easy tube access to the sights of London. We were extremely pleased with the responsive service level of the manager of the apartment and staff. Very pleased with the location and comfort of the apartment. Loved the area! Shopping very close, tons of restaurants nearby, and the grocery store was just across the street. Two tube stations within walking distance, and Sloane square was quite close as well- tons of shops and restaurants. The building was great, porters were available 24/7, and felt very safe. 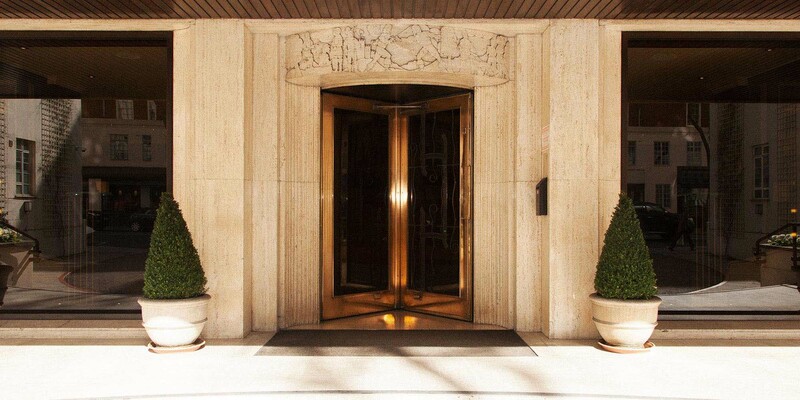 Located conveniently in Chelsea with 5 min walk to underground, restaurants and museums! Ideal for families and the services are impeccable. Quick responses and dedicated to resolve problems, flexible and thoughtful. Todo nuevo, impecable, ubicación inmejorable, atención excelente. Totalmente recomendable!!!!!! 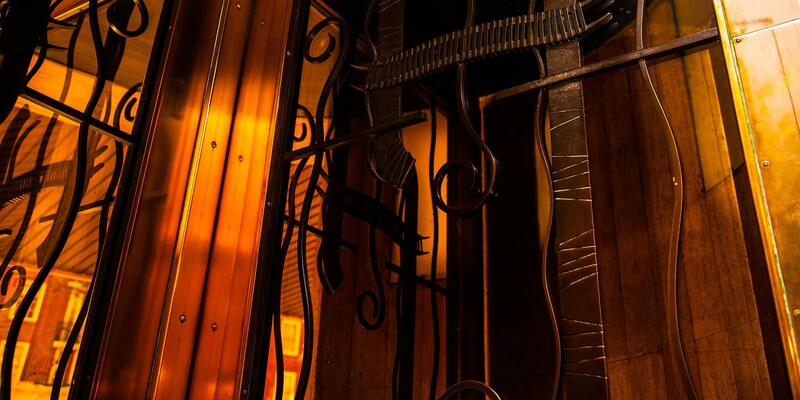 Nell Gwynn House, an iconic local landmark, is an art-deco serviced apartment block located on Sloane Avenue in the heart of the fashionable and prestigious Royal London borough of Kensington and Chelsea. 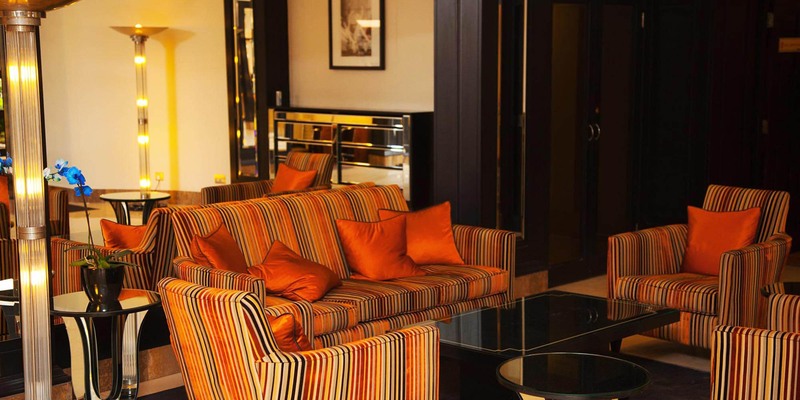 Nell Gwynn Chelsea Accommodation provides luxury serviced studios, one and two bedroom apartments to rent in London for between three and 91 nights with long stay discounts of up to 15%. Better value and more spacious than a hotel, each apartment has its own kitchen, bathroom and living area with free unlimited high speed internet with a minimum speed of 150mb as standard. The apartments are perfectly placed to explore the designer boutiques, restaurants and museums of Kensington, Chelsea and Knightsbridge as well as being only 10 minutes away from the West End and the City of London and three stops from Buckingham Palace. All our apartments are non-smoking and individually furnished to a high standard with luxurious Egyptian cotton bed linen to ensure that your stay in London is comfortable. You choose the apartment that you would like to rent and stay in – we do not allocate. Along with the free fast Wi-Fi which is included in the rental price, guests also benefit from a complimentary welcome pack with fresh flowers, toiletries, tea, coffee and milk, a weekly two hour clean, linen and towel change. A daily maid service can be arranged upon request. We are owned and operated by the owners of apartments in Nell Gwynn House, the official boutique lettings agency. Nell Gwynn House was designed in 1936 and built in 1937 at the height of the art deco period by prolific architect of the time, G. Kay Green. Kay Green was not only interested in creating a building with aesthetic appeal, he was also concerned that each flat should have maximum light and the best use of available space within. Taking inspiration from the fashionable art movement of the day -Cubism-, themes, patterns, materials and colours from exotic far-away lands were also utilised- the Egyptians, Aztecs and Mayans. The “W” shaped design of the building itself reflected the fashion for geometric designs and symmetry, so beloved of the period. With its prime location in Chelsea on Sloane Avenue, Nell Gwynn House was THE address to have amongst the pick of the newly built luxury serviced apartment blocks in the Royal Borough of Kensington and Chelsea. Its proximity to the fashionable shops and entertainment venues on the Kings Road, Knightsbridge, Sloane Street and South Kensington and number of bohemian artists, poets and musicians who lived in the area, ensured that Nell Gwynn House soon became synonymous with glamour, fashion, good taste and class. Not only did each apartment have central heating – a luxury for the period, Nell Gwynn House proudly boasted a restaurant in the basement, a hairdressing salon and a bar for socialising in the reception/lobby area. In 1948 a music club was set up, with Sir Adrian Boult as its President and with Patrons including Vaughan Williams, Sir Arnold Bax (master of the Kings Music) and John Ireland. Sunday concerts were arranged for the benefit of the flat owners and their guests and formed part of the Chelsea “Scene”. 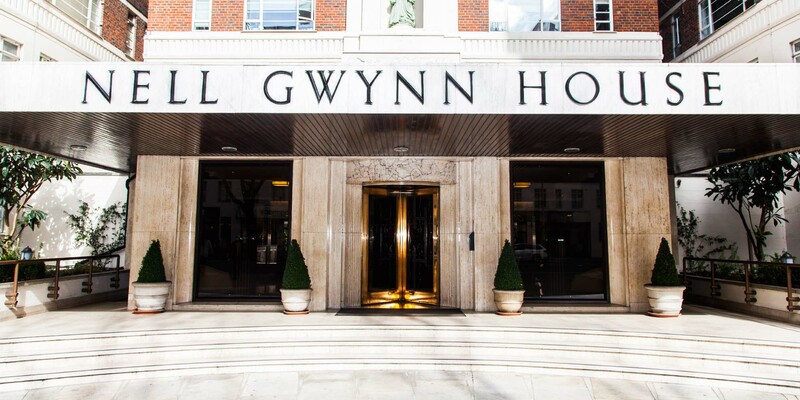 In the swinging 60’s and into the 70’s, Nell Gwynn House boasted one of the most luxurious locations in Europe to have a Pied-a-Terre and an in-house lettings office for the benefit of flat owners was established which continues with us, Nell Gwynn Chelsea Accommodation, today. Despite the name of the building and there being a statue of Nell Gwynn on the outside at the front, that is as far as the connection goes with the mistress of King Charles II. Nell Gwynn, actress and orange seller lived in nearby Pall Mall in a house provided by the King. The Kings Road is reportedly named after the private road that the King had built through Chelsea from his Palace to Nell’s house to enable him to travel to see her without being robbed by Highwaymen. Nell bore the King two sons and died at the age of 37 in 1687. Although Nell never lived at the site on Sloane Avenue, American Abolitionist Frederick Douglass did. Douglass was a key figure in the abolition of slavery and was the first African American to receive a nomination for the presidency of the US. A blue plaque was unveiled on the side of Nell Gwynn House in 2013 to mark the site of the former home of British abolitionist George Thompson, who Douglass stayed with for a time in 1846, while lecturing in London on the horrors of the slave trade. Other famous residents of the building include Great Train Robber Roy James who lived in flat 907 until the time of the famous robbery in 1963, artist and designer Theyre Lee-Elliot (designer of the BOAC Speedbird and Airmail symbol), and, more recently, English entertainer, Bruce Forsyth and several famous English footballers. Since 2006, more than ten million pounds has been spent refurbishing and upgrading both the interior and exterior of Nell Gwynn House. Part of this work included reinstating the glamorous art-deco features of the reception area by renowned interior designer Tim Gosling. Today, Nell Gwynn House continues to offer guests from across the world luxury serviced accommodation in the heart of Chelsea. 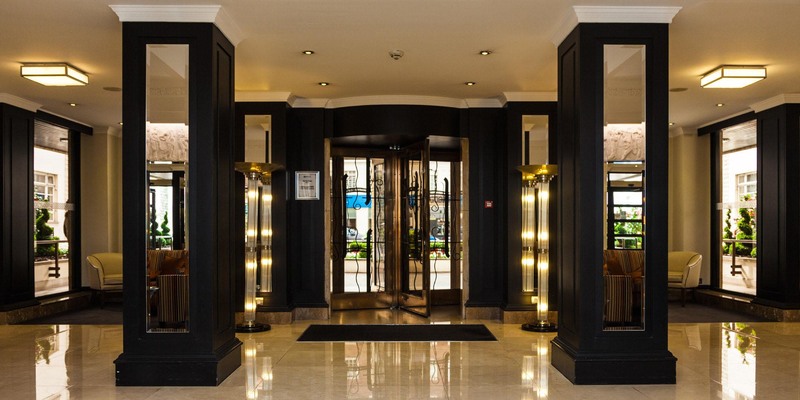 We here at Nell Gwynn Chelsea Accommodation, the lettings office that is actually owned and operated by apartment owners, would be delighted to welcome you to this stunning building and wish you a happy stay in London.